Last week's 2011 Citibank NSW Wine 'Best of the Best' Tasting was a huge success with over 300 trade and consumers seizing the opportunity to meet the State's most talented winemakers and taste the Top 40 wines from the 2011 Citibank NSW Wine Awards, including Trophy winners and the 2011 Citibank NSW Wine of the Year. Six Chardonnays featured in the Top 40, including the 2011 Citibank NSW Wine of the Year ~ Mistletoe Wines 2009 Reserve Chardonnay from the Hunter Valley. According to Chief Judge Huon Hooke, these wines were "refined and restrained", in contrast with earlier more full bodied Australian styles. Huon also commented on the high quality of Chardonnay from all of the State's wine regions. Whether from traditional or emerging, warm or cool regions, the wines were equally delicious, showing how winemakers all over NSW are embracing the production of a modern, more elegant style of Chardonnay which is enticing consumers back to this most famous of white grapes. Thirteen of the Top 40 wines, including five of the ten Trophies were claimed by exciting wines from the Hunter Valley. The Hunter is Australia's oldest wine region and home to just over 100 wineries who have consistently produced wines of exceptional quality and outperformed the region's size. While steeped in history, a 'new generation' of Hunter winemakers is emerging who are not content to rest on the region's laurels and are pushing the wines of the Hunter to new heights. The Central Ranges is a 'wine zone' that encompasses the central western wine regions of Orange, Cowra and Mudgee and their surrounding vineyards. This area at the heart of NSW is starting to beat very strongly with eleven wines (six classified as Orange, two classified as Mudgee, three classified as Central Ranges) making it into the NSW Top 40 and the Logan 2009 Weemala Merlot and the Winburndale Wines 2008 Fontana Cabernet Sauvignon from the Central Ranges continuing on to collect a coveted Trophy. The wines and winemakers of the Central Ranges are definitely ones to watch. A pleasing result from this year's Awards is the emergence of a range of high-quality Pinot Noirs, two of which received Top 40 status. Our emerging cool-climate regions, such as the Southern Highlands, Canberra and Orange, are working hard to show that this high-maintenance red variety can thrive here. As well as Pinot Noir, there were also some excellent wines made from Viognier, Verdelho, Merlot, Tempranillo, Durif and Zinfandel. In fact, 14 different grape varieties or blends were used to make these "best-of-the-best" wines, demonstrating the huge diversity of NSW wines. Another exciting Citibank NSW Wine Awards for NSW wine lovers with plenty of great success stories, and anticipation growing for the 2012 Sydney Cellar Door which will kick start the 2012 Citibank NSW Wine Festival on Saturday and Sunday 25th & 26th February. with seafoods or Asian stir fries. WHEN one of the NSW Riverina's early pioneers Francesco Calabria, who'd arrived from Italy in 1927 with wife Elizabeth, decided he needed a glass or three of good home-made red or white to ease the pains of a day on the family's fruit farm in the new-fangled irrigation area, he didn't have the money to invest in all the necessary equipment to make it with. So he took over Elizabeth's laundry tubs, and improvised from his workshop from there. By 1945 he was making wine full-time under the Calabria Wines label, and today son Bill is at the helm of the family-run business that's now called Westend Wines, helped by wife Lena, sons Frank, Michael, Andrew and daughter Elizabeth, selling world-wide, and amassing more trophies and medals than Francesco could ever have packed into his wife's little laundry. Westend's Richland range is dedicated to the family founders who pioneered that "rich land," and is the premium commercial of a half-dozen labels that cater for all budgets. The 2010 Richland Sauvignon Blanc is a particularly excellent wine with great varietal flavours including passionfruit, garden peas, limes and mangoes – and even better is that its great buying at just $10.95. enjoy with meatballs in an Italian-style tomato sauce. With a dry, crisp and refreshing finish it's a great partner with seafoods such as oysters, mussels, prawns, crabs and lobsters, sushi and tuna, or Asian stir fries with lemongrass and plenty of coriander, tomato, onion and garlic. ONE FOR LUNCH: ANDREW Margan has crafted a excellent Shiraz with the intention of buyers putting it away in a safe place for the next ten years – the $20 price tag making it a good investment as it is pleasant for enjoying now, but will become all the more so up to around the early 2020s. Andrew picked the fruit for this 2009 Shiraz "al dente" (firm but not hard) off 40-year old Lower Hunter Valley vines; with nice savoury black fruit flavours its already an ideal match with meatballs in an Italian-style tomato sauce. It was Topper's Mountain Wines which stole the show at the New England's night of nights on Friday when it took out 4 of the top trophies including the coveted Champion Winery of Show at the 2011 New England Wine Show. Renowned wine critic Huon Hooke chaired the panel of judges at a show that he openly admits he was "...without much of an idea of what I would expect to find." And was pleased to find that this "tiny little wine region... making a bigger range of interesting wines than they have in Coonawarra" where he has gone onto judge at their wine show this week. Interviewed from the region on Thursday after the one day judging which saw a record 154 wines judged by the expert panel, Huon told the ABC that the potential for the region was great. He made reference to the extraordinary number of less mainstream varieties that were of gold medal standard at this show and thought that perhaps varieties like Gewurztraminer and Tempranillo were styles on which the region could "hang their hat". Topper's Mountain couldn't be happier with these claims that the less mainstream varieties are set to thrive in the region as they are almost as far from mainstream wine producers as their remote vineyard is from civilisation. Recently quoted as having the 'ultimate fruit salad' vineyard, owner Mark Kirkby of Topper's Mountain has trialed plantings of 28 varieties in his 10ha vineyard since first planting in 2000, many with as few as 200 vines of each clone or variety. Mark's aim is to narrow these 28 down to 8-10 star performers through grape quality work in the vineyard in conjunction with ongoing wine style evolution with winemaker Mike Hayes to show off the exciting, cool-climate terroir of Topper's Mountain. Located in spectacular yet remote countryside north-west of Armidale, about 50km north-west of the New England's highest town Guyra, Topper's Mountain reaps the benefit of altitudes in excess of 900m, ensuring idyllic growing conditions for his far-from-mainstream cool climate varietals. The vineyard is situated on beautiful, deep, red & aged volcanic soils high above the valleys of the MacIntyre and Gwydir Rivers. Rose petals, a hint of tar & fresh strawberry leaves followed by layers of succulent, savoury & meaty characters on the palate reinforced by Nebbiolo's big, smooth tannins. Plenty of time for cellaring this one! "It doesn't seem real" says owner Mark Kirkby after winning four trophies; 6 gold, two silver and five bronze medals on Friday night "we couldn't have timed it better having just made our first, albeit small, commercial release of wines under the new Topper's Mountain label." It seemed the 2009 Toppers Mountain Nebbiolo (RRP $35) couldn't put a foot wrong, at first being awarded the Trophy for "Best Other Red Variety", then "Chief Stewards Pick of Golds" (which also takes into account the winery's contribution to the region), then finally the big one, "New England Wine of Show". Together with the 2010 Topper's Mountain Gewurztraminer (RRP $30) taking out the Trophy for "Best Aromatic White Wine", had Topper's Mountain named "Champion Winery of Show". This is the first year which gold medal winners at the New England Wine Show qualify to enter in Australia's National Wine Show held in Canberra each year, giving this small region even more opportunity to show the wider wine world just what great things the region is doing. Just last year the New England Wine region developed a Regional Brand Strategy aimed at raising the profile and awareness of Australia's newest wine region, and this the first wine show since, gives the NEW (New England Wine) region great promise from which to leverage its marketability, having hosted perhaps one of Australia's most regarded wine critics. 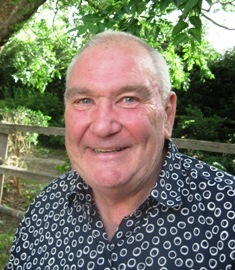 Mark Kirkby sits on the marketing and branding strategy committee. Topper's Mountain are seeking distribution of their wines in the on premise market in Sydney and Brisbane. A DECADE ago Moscato was a little-known, relatively alternative wine style in this country, but it's enjoyed somewhat of a stellar rise since then – with Victoria's Brown Brothers leading the charge, and now accounting for an amazing 49% of all Moscato sold in this country. And not content to leave it at that, they've now released their first-ever Sparkling Moscato under the stewardship of winemaker Cate Looney, who has been making Moscato for the past half-decade. "The Brown family is renowned for pushing the envelope with new product development, and we (the winemaking team) were delighted when they challenged us to see where we could take Moscato next," she says. What the team came up with is a sparkling wine made from Muscat of Alexandria grapes (the Romans found this grape's distinctive aroma was akin to musk, so dubbed it Moscato meaning "smelling of musk,") and which has a sherbet-like perfume and lifted aromas of citrus and freshly-crushed grapes that follow through on the palate. A delightful bubbly at just $16.50, Cate suggests you take a bottle or two along to your favourite Asian restaurant and enjoy with a spicy lemongrass, coriander and chilli-infused Asian broth. ONE FOR LUNCH: THE Adelaide Hills' Petaluma uses fruit from it's B&V vineyard on the eastern escarpment of Mount Barker for it's Bridgewater Mill Shiraz, a wine of somewhat power and elegance as a result of the work that went into selecting just the right site for its B&V vineyard in the early 1990s. Fruit was hand-picked for the just-released 2009 Shiraz that's a wine having ripe, fresh blackberry and lifted plum characters, and spicy white pepper on the palate; at $22 it's a nice drop to serve with home-made Osso Bucco. The small but highly awarded Southern Heathcote vineyard, Redesdale Estate is proud their latest release of the highly awarded estate grown Heathcote Shiraz vintages, the 2008 Shiraz, was nominated as the pick of the show, at the recent Heathcote Wine and Food Festival. Renowned wine writer and judge Jeff Gordon commended the vintage - "my pick of the show - the 2008 Redesdale Estate shiraz - elegant but powerful fruit, beautifully integrated with soft tannins". He also further noted the exceptional quality of Redesdale Estate's produce by voting the Redesdale Estate olive oil as his personal 'best in show'. The 2008 vintage is the latest of 6 vintages, which have all gained the highest ratings on release. Last night saw the Mistletoe Wines 2009 Reserve Chardonnay crowned the 2011 Citibank NSW Wine of the Year in front of the who's who of the wine industry at the Citibank NSW Wine Awards Presentation Dinner at Guillaume at Bennelong in Sydney. Those who attended also heard from special guest the NSW Minister for Primary Industries and Minister for Small Business, the Honourable Katrina Hodgkinson MP, who was delighted to announce new Nielsen data, revealing that since the launch of the government /industry partnership behind the NSW Wine Strategy in February 2008, sales of bottled NSW wine within NSW have dramatically increased from $52.4 million a year to a new record yearly sales figure of $86.3 million*, a 64% increase in just 3 years. Mike De Iuliis, Chair of the NSW Wine Strategy said, "The partnership with the NSW government has been critical in the achievement of these great results and we know with continued hard work this growth is here to stay." The State of NSW is passionate about wine. In the last 12 months, ending July 2011, total bottled wine sales in NSW have grown by +8.4% in value – outperforming the market with other States growing at just +3.4%. And the latest quarterly figures highlight further growth of +11.1%, show that not only is there growth but that growth is accelerating! Mike added, "And it's not that NSWs enjoys wine, we are also continuing to appreciate our local wines more. The latest Nielsen figures show local Sales of NSW wine in NSW are now outpacing bottled wine from Victoria and South Australia by 2X and whilst all price points are growing it is the premium wines in the $20+ per bottle category which continue to lead the growth with an increase of +14%, now making up 15% of the state's bottled wine sales." These amazing Off-Premise sales figures from Nielsen are complemented in a report by Wine Business Solutions on the On-Premise that shows a 22% increase in the last year in the representation of NSW and ACT wines on NSW /ACT wine lists. A contemporary Chardonnay which highlights that this grape is making a comeback! 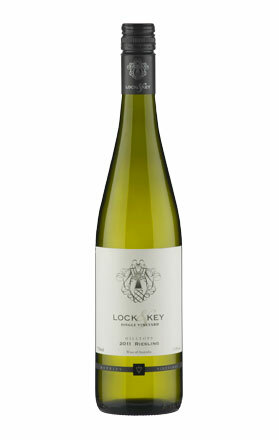 This wine also collected Gold at the 2011 Winewise Awards and 2011 Hunter Valley Boutique Winemakers Show, and last year was crowned the 'Reserve Wine of Show' at the International Chardonnay Challenge in NZ. Mistletoe Wines is a wonderful example of the family businesses which dominate NSW winemaking (family owned wineries account for over 75% of the total NSW crush) and shower our vineyards with care and dedication, creating wines worthy of world-class status. Another multi-award winning wine, capturing the qualities of the Hunters signature white grape and showing exceptional value for money at just $16. Re-released in August 2011, this wine is just starting to emerge with those classic bottle aged Hunter Semillon complexities. The Hunter has again collected the most Trophies, with the 'new generation' of winemakers, not resting on their laurels but pushing winemaking further. Bathurst can sometimes be a little overshadowed by its neighbour Orange, but wines from the Central Ranges are starting to shine in their own right. The 2nd wine from the Central Ranges, proving their quality is not just a case of luck but an emerging region with great grapes & talented winemaking. The region of Orange goes from strength to strength every year creating increasing amounts of wine with elegance and flair. A very unusual blend of two Italian varieties this wine showcases their amazing ageing potential and longevity. Yet again proving that the Riverina is a region that dominates in sweet wine production. Alongside the Trophies, two other special awards were presented on the night. The NSW Department of Primary Industries Graham Gregory Award is presented to someone for their individual contribution to the NSW wine industry and this year the deserving recipient was Richard Hilder. Katrina Hodgkinson, NSW Minister for Primary Industries and Minister for Small Business, presented the award commenting, "Richard has contributed significantly to the viticulture and horticulture industries within the Australian Wine Industry. His forward planning for the development of irrigation, fertigation, pruning, harvesting, and other viticultural practices has benefited the overall wine industry…it is because of people like Mr Hilder that the NSW wine industry is continuing to go from strength to strength and is a major player in the international wine market." The NSW Department of Primary Industries Award for Best Organic Wine was awarded to David Lowe for the Lowe Wines 2009 Zinfandel from Mudgee. The Organic category was a hot division this year with 30 Organic wines entered into the Wine Show (20% more than last year) and 2 were awarded with spots in the 2011 Citibank NSW Wine Top 40. Both of these wines, along with the rest of the Top 40, will be on taste for the public at the upcoming Citibank NSW Wine Awards "Best of the Best Top 40" Tasting on Thursday 20th October. Visit www.nswwine.com.au for details. · Data prepared by Nielsen is based on wine sold in NSW that is indicated to be from NSW. 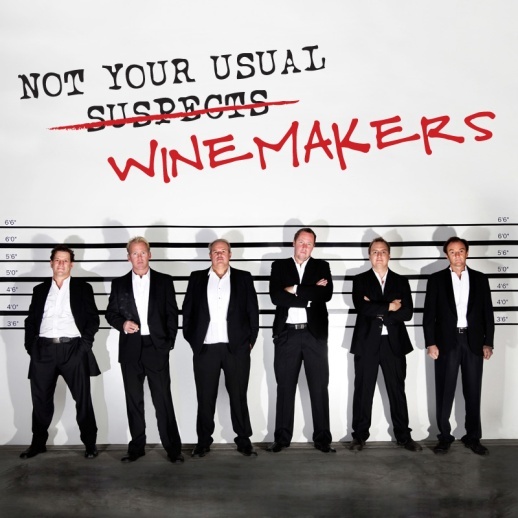 · The figures are calculated using off-premise sales of wines that indicate that they are from NSW on the bottle. Beelgara Estate is one of the oldest wineries in the Riverina grape growing district of Australia, having been established in 1930. Being a top twenty Australian winery, Beelgara has established an enviable reputation amongst industry analysts, having just recorded three consecutive years of incremental profit growth with a forth year projected at a 10% increase. One of Australia's leading wine writers, James Halliday, has just awarded Beelgara a five star winery rating in the 2012 edition of his Australian Wine Companion, which effectively ranks Beelgara amongst the elite of Australian winemakers. Rod Hooper, Beelgara's chief winemaker has commented, "we are immensely proud of our elevation to a five star rating from James and it is a wonderful endorsement of the quality of our wines and a just reward for all our hard work over recent years". Two of Beelgara's most awarded red wines achieved 94 points, which is an amazingly high score and ranks them amongst some of the best reds in Australia. Allison Payne, Beelgara's CFO has remarked, "this most recent award has crowned what has been another amazing year for us. We are now shoulder to shoulder with some of the most premium and profitable wineries in Australia". Beelgara has just reported a circa $2.1 million EBITDA profit for the 2011 year, eclipsing the record profit in 2010. Tonight was a big night for the New Generation Hunter Valley winemakers, with the 2011 Citibank NSW Wine of the Year and Trophy for Best Young Chardonnay going to Mistletoe Wines 2009 Reserve Chardonnay ($40), made by Nick "Doggy" Paterson – one of the 6 not-so-usual suspects! Andrew "Thommo" Thomas was not far behind Doggy on his way to the stage, collecting the gong for Best Mature Dry White with his Thomas Wines 2006 Cellar Reserve Braemore Semillon ($45). With Mike De Iuliis also scoring a place in the fiercely contested NSW Wine Top 40 for his De Iuliis 2009 Steven Vineyard Shiraz ($40), the New Generation Hunter Valley confirms their place amongst the best winemakers in the state and no doubt the whole NGHV clan, which also includes David Hook (David Hook Wines), Rhys Eather (Meerea Park) and Andrew Margan (Margan) will be celebrating their mates' triumphs in style! One third of the Top 40 wines were from the Hunter Valley, dismantling claims that the Hunter is old-hat and unexciting. In fact, wines in the NSW Wine Awards Top 40 are mostly made by the "new generation" of winemakers rather than the old family institutions - there are thrilling times ahead for family owned Australian wineries. Plans are also well underway for the second episode of the New Generation Hunter Valley "Not Your Usual Caravan of Courage". The boys couldn't help themselves but to do it again in 2012 after the first adventure was such a wild success, so watch out for more details to come on this. One thing we can say is that their road show will kick off in Sydney and again culminate in the Noosa International Food and Wine Festival from 17 May 2012. 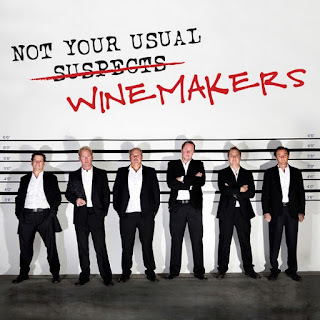 So despite claims that the Hunter Valley isn't doing much fresh and exciting, this group of blokes are making waves (and occasionally surfing on them) in the wine industry and demonstrating that there is new blood in the Hunter who are doing amazing things with their old vines….grey hairs and all. well with this Sauvignon Blanc. THE 2011 vintage in South-eastern Australia can best be summed up in three words, wet, wet, wet, with some vineyards totally inundated by flood waters, areas reporting rains of six or eight times their normal for summer – and still others drenched with entire annual rainfalls in just three months. "But we saw light at the end of the tunnel for Sauvignon Blanc," says Tim who manages their vineyard and winery. "It seems to develop quite distinct varietal flavours early in the season, so it was a matter of protecting the fruit – and those flavours – once the wet set in; we did a lot of leaf plucking to make sure that the canopy was clean and that our rigorous spraying program could have maximum impact on keeping the berries free from disease." Then the winemaking team led by Tim Knappstein (working his 50th vintage,) got to work and although not easy produced a 2011 Sauvignon Blanc the Wicks' say "jumps out of the glass." At $18 it's a rewarding drop with nice varietal tropical fruit and grapefruit flavours to pair with seafoods and poultry. ONE FOR LUNCH: IF you enjoy Merlot, don't look past Katnook Estate's 2008 Founder's Block that at $20 is a generously-flavoured wine from an excellent vintage, one that gave this wine particularly nice flavours of dark berries, ripe plums and a hint of spice. Named after the original landholding of John Riddoch, the founder of Coonawarra, this is a beauty to enjoy with tasty plum-marinated pork ribs. The nine Trophy Winners in the 2011 Citibank NSW Wine Awards will be presented with their awards on Monday 17th October at the 2011 Citibank NSW Wine Awards Presentation Dinner at Guillaume at Bennelong in the Sydney Opera House. These Trophy winners were chosen from the NSW Top 40 Wines, which were selected by a panel of 20 highly regarded wine judges, Chaired by one of the country’s leading wine experts Huon Hooke, who whittled down over 820 wines to this impressive shortlist. The results reflect the great performance of Orange and the Central Ranges in this year’s Top 40, with 3 Trophies going to wines from that area, alongside 4 from the Hunter and one each from the Riverina and Hilltops. Everyone will have the opportunity to taste the new 2011 Citibank NSW Wine of the Year, Trophy Winners and Top 40 Wines at the Citibank NSW Wine Awards “Best of the Best Top 40” Tasting … Discover the “best of the best” wines from the 2011 Citibank NSW Wine Awards, either in a small group guided by one of the State’s most talented winemakers or as a self-guided tour of NSW’s diverse wine regions. This event is part of Crave Sydney International Food Festival, presented by Citibank. Sales of Pinot Gris/Grigio have now overtaken Riesling in this country and it's no wonder with wines such as the delicious, new 2011 Climbing Pinot Gris (RRP $21.95) now readily available. Produced by Cumulus Estate Wines in Orange NSW this wine is a perfect example of an Alsatian Pinot Gris style with an Australian twist. Senior winemaker Debbie Lauritz worked in Alsace at the beginning of her career so fell in love with this variety at an early age. "It not just that I personally love this style of Pinot Gris, with its full palate of classic apples, pears, honey and fresh butter. But I also believe that our vineyard in Orange is ideally suited to such a style. Orange's high altitude, with resultant cool climate and greater concentration of UV light, does give us a unique balance of good palate weight, texture, zest and restrained elegance." Debbie's interest in Pinot Gris and its suitability to Orange has culminated in an impressive 20 hectares of vines being planted on the Cumulus Estate. Debbie comments, "You have to have an inbuilt desire to create a top quality Pinot Gris because it is a very difficult variety to grow and is work intensive, needing heavy pruning as well as bunch and shoot thinning." The 2011 season was working in Debbie's favour though, as the cooler than average temperatures and mature vines (with their well balanced canopies) produced less fruit, resulting in concentrated pear and apple flavours, and helped keep hold of the grapes natural aromatics and acidity. "Getting such great fruit in 2011 was more than half the battle, but with our Climbing range we do like to carefully apply some winemaking techniques to deliver a little extra." Debbie adds. "In this wine's case we selected three separate parcels, each picked at varying levels of fruit ripeness. The parcels were fermented separately, one held on lees and stirred weekly, and with a small proportion being barrel fermented. Blending the parcels together let us create a wine with that extra touch of complexity to layer the natural bright and elegant fruit character." There's nothing grey about this modern style of an enticing French classic. More Pinot Greyt than Pinot Grey! Stockists: Distributed by Cumulus Wines. Available nationally though independent liquor stores. Now in its sixth year, Orange WINE Week (21st -30th October 2011) is set to draw thousands of visitors to the beautiful wine region of Orange NSW this spring. Join them to discover why Orange has so rapidly gained a name for itself as a region of rich and diverse food & wine quality and culture. There are over 100 events to choose from (details at http://www.tasteorange.com.au/wineweek.htm) but for something new visit Cumulus Estate Wines. For the first time Cumulus Estate Wines will be setting up their Cellar Door at one of Orange's most delightful locations, the Wentworth Gallery Restaurant. Here they will hold the 'Cumulus Winemakers' Table' – a wonderful opportunity to hear directly from the winemakers what makes Orange so great - and a selection of free tastings, including all the wines from their Cumulus, Climbing and Rolling labels. See www.cumuluswines.com.au for more information. The Noosa Food & Wine Festival has a new name - The Noosa International Food & Wine Festival. The name change heralds a new focus on both Australian and International chefs and cooking identities as well as a global interest in the festival itself. Expect four action-packed days from May 17 to May 20 in 2012 when two hundred of the world's most prominent chefs, winemakers, media and food personalities descend upon Noosa and the Sunshine Coast. Noosa Food & Wine Festival 2011 from Source Media on Vimeo. The final details of the full program are being locked in but it has been confirmed we can announce that molecular gastronomist and 'Demon Chef', Alvin Leung of Bo Innovation in Hong Kong and Davide Scabin of Combal Zero in Turin Italy will both participate in the Qantas 'Best Dinner in the World' event. Each course of the degustation meal will be created by a different chef from the prestigious S.Pellegrino World's Best Restaurant List. The list is created from The World's Best Restaurants Academy, an influential group of over 800 international leaders in the restaurant industry, each selected for their expert opinion of the international restaurant scene. Local restaurateur and Festival Director, Jim Berardo, is thrilled with the international focus of the 2012 festival. "We are proud to have built this event over eight years to something truly world class" says Mr Berardo. "The Festival originated to acknowledge and promote Australian produce, wine and talent. Now Australia has a real presence in the world of food and wine and we want to recognise this by including overseas talent. " A multi-award-winning Central Otago wine has taken its accolades to impressive new heights by winning a prestigious Northern Hemisphere trophy. Less than a year after sweeping the board with the same wine in a Southern Hemisphere competition, the Peregrine Pinot Noir 2009 has been awarded the Bouchard Finlayson Trophy Pinot Noir in the International Wine and Spirit Competition (IWSC) in London. Just under 12 months ago, the 2009 Pinot Noir won three trophies at the Air New Zealand Wine Awards, receiving the JF Hillebrand New Zealand Ltd Champion Pinot Noir trophy, the Fairfax Media Champion Open Red Wine trophy and being hailed the Air New Zealand Champion Wine of the Show. The double-hemisphere achievement has left Peregrine Wines’ Managing Director and co - owner Lindsay McLachlan extremely proud and humbled. “Although we’ve been quietly confident all along with the standards of wines we produce, never in our wildest dreams did we think we would receive two fantastic accolades like this so early in our history,” he said. “This is a unique achievement, the pinnacle to date for our winemakers, vineyard team and growers. “We never thought we would deliver the best wine in New Zealand and one of the best in the world in our 13th year of operation. Mr McLachlan will be travelling to London next month to receive the trophy from IWSC President Prince Robert de Luxembourg at a presentation banquet at the Guildhall on November 16. The banquet is a glittering five-course meal with matched wines and spirits, preceded by a pre- dinner tasting of Gold Medal winning products and attended by some of the biggest names in the global wine trade. Mr McLachlan said Peregrine Wines prided itself on producing wines that truly represented the Central Otago winegrowing region. Award-winning Kiwi winery Mud House continues to trump the competition overseas, with the 2011 Mud House Marlborough Sauvignon Blanc winning prestigious accolades at the 2011 International Wine and Spirits Competition (IWSC). Scooping both a Gold medal and Best in Class at the IWSC, the 2011 Mud House Marlborough Sauvignon Blanc was a standout success for the New Zealand winery, beating out entries from more than 82 countries worldwide. Described as “delicious” and “a terrific example of a beautifully made wine” by the IWSC judging panel, the 2011 Mud House Marlborough Sauvignon Blanc received high praise in its tasting notes. “Zesty lifted nose of crushed bramble leaf, kiwi, cucumber and citrus. In the mouth mange tout flavours caress with a mild touch of red pepper and lime leaf,” furthered the enviable sentiments expressed by the judging panel in favour of the 2011 Mud House Marlborough Sauvignon Blanc. A highly regarded international competition, the IWSC was founded in 1969 and is the premier competition of its kind in the world. Held in the United Kingdom, it aims to promote the quality and excellence of the best wines, spirits and liqueurs the world over. This standard is achieved through a rigorous two-stage judging process of professional blind tasting and detailed technical analysis that takes place at the IWSC competition's headquarters in Surrey, United Kingdom. To ensure perfect conditions, the premises include temperature-controlled cellars, a fully equipped independent laboratory for technical analysis, and three dedicated tasting rooms. The Competition is backed by a group of vice presidents made up of the most influential people in the trade and has the support of many of the world’s top wine and spirits producers. Mud House Wines marketing manager Cathy Wansink says gaining an award in the IWSC is an outsanding achievement for the winery. “The International Wine and Spirits Competition is a hugely celebrated competition and the Gold medal and Best in Class awarded to the 2011 Mud House Marlborough Sauvignon Blanc is testament to the passion, commitment and hard work demonstrated by our viticulturalists and talented winemakers every day,” says Wansink. If you love classic dry riesling but are on a tight budget, this is a name well worth remembering. From the Moppity vineyard outside Young in New South Wales, it is an absolute bargain at a recommended retail price of around $16 - more so given it can sometimes be found discounted to considerably less. It has lemon zest fragrance, oodles of lime and grapefruit character on the quite austere palate and delightfully zingy racy acidity on the finish. A pristine and appealing partner for oysters, pan-fried seafood or Thai cuisine. $15. www.moppity.com.au. baby snapper and baked eggplant. WESTERN Australia's Capel Vale has come a long way since Perth medico, Dr Peter Pratten and his wife Elizabeth were the first to recognise the potential of the quiet banks of the Capel River for cool-climate viticulture, planting their first vineyards there back in 1974. And an interesting new release from their still family-owned Capel Vale is a Debut label 2010 Chardonnay that's made from fruit that's largely from vines that were first planted as Riesling and Gewurztraminer, and cut-back and grafted-over to Chardonnay in the late 1970s. This buy-now, drink-now wine has lovely tropical pineapple aromas together with some peach, apple and melon, and on the palate displays plenty of fresh varietal citrus and stone-fruit characters. Pay $18 and match it with pan-fried baby snapper served with baked eggplant, tomato and a sprinkling of basil. this delightful Yarra Valley Pinot Noir. 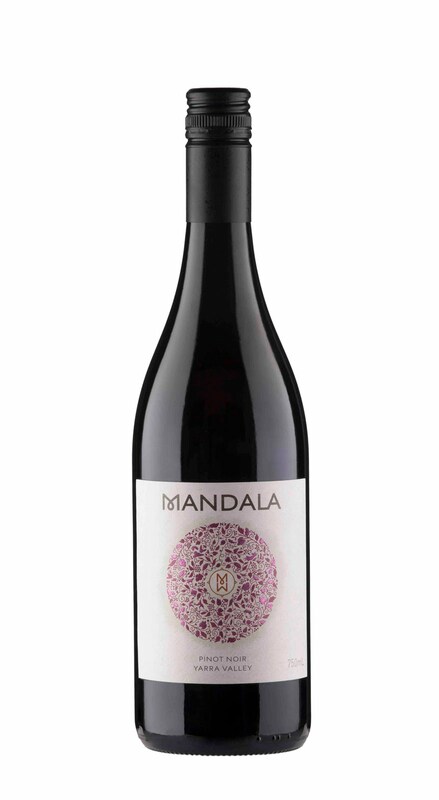 ONE FOR LUNCH: VICTORIA's Yarra Valley maker Mandala Wines has released a more-ish Pinot Noir from the excellent 2010 vintage, after skipping a year in 2009 because of climatic problems that owner Charles Smedley did not want to see impact on the company's show-case reputation. "The 2010 vintage was outstanding with warm and mild conditions allowing for a long and gentle growing season," he says. "And particularly good was rain that came at exactly the right time, negating the need for irrigation and thus expressing our cool climate sites to their very best." Here's a Pinot Noir from vines that were both fruit- and shoot-thinned to lower yield and maximise flavour, and which is reflected in the beautifully forward ripe red-berry fruit on the palate. Pay $28 and embrace this one with duck confit or a cold charcuterie platter. Lowe Wines has been awarded the 'Best Wine of the Show' at the 2011 Australia / New Zealand Organic Wine Show with the recently released 2009 Lowe Mudgee Zinfandel. The Australia / New Zealand Organic Wine Show was established in 2005 and is the only annual organic wine show dedicated to the judging and promotion of certified organic and biodymanic wines from Australia and New Zealand. Showcasing the diversity, regionality and quality of organic wines, the show aims to help the organic wine sector carve a larger niche for itself on the shelves of the wine trade and in the knowledge base of wine connoisseurs. The 2009 Lowe Zinfandel won two prestigious trophies; the 'Trophy for the Best Red Wine of the Show' and the prestigious 'Gil Wahlquist Trophy for the Best Wine of the Show'. According to the Organic Wine Show's website, "the Best Wine of Show is awarded the beautiful Gil Wahlquist Trophy, designed and carved by Nick Statham (from Rosnay Organic Wines in Cowra) from a fallen tree. Gil Wahlquist planted the first organic vine in Australia in 1971, which then went on to become the first certified organic vineyard in 1984." "2009 was a textbook season with a mild spring and good rainfall, then a benign, dry summer," explained Lowe Wines winemaker and owner, David Lowe. "Following the drought from 2002 onwards, this was a godsend. We crop-thinned the unripe fruit twice in the vineyard which helped produce outstanding fruit." The 2009 Zinfandel is only made in very limited quantities and only in years where David Lowe deems the fruit to be of outstanding quality. 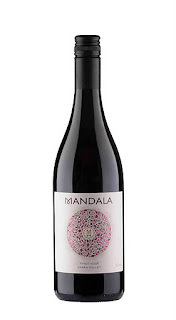 The 2009 Zinfandel was also recently named in the NSW Top 40 wines of 2011. The Citibank NSW Wines Awards will hold their Trophy Presentation and Awards dinner on 17 October 2011 at the Sydney Opera House. A handpicked collection of small family owned & operated wine estates are visiting Sydney this October for the launch of The Sydney Boutique Wine Fair 2011. The fair is a casual tasting experience for those that enjoy a glass of wine and are looking to discover something new. The specialist wine team at The Oak Barrel has selected more than 15 of their favourite small wine estates from NSW and the rest of the country, to be a part of the inaugural boutique wine fair. The Oak Barrel will be hosting the event at their spacious CBD bottle shop on Elizabeth Street. Manager Simon Clarke says 'With the big chain stores ignoring quality in preference for price, the onus has fallen on passionate stores to reveal the gems that lie hidden beneath the surface'. The Sydney Boutique Wine Fair gives wine drinkers the opportunity to discover some distinctly boutique wineries and broaden their wine knowledge. Tickets are on sale now and for more information visit www.sydneyboutiquewinefair.com.au. There is no doubt that Mike de Iuliis is among the brightest young winemaking talents in the Hunter Valley. His 2011 semillon was one of the standouts of a recent Twitter tasting and this is another excellent offering made from the Hunter's other key grape variety. Inky, with intense black pepper and wild berry aromas, it is full bodied on the palate with dark, rich fruit flavours, hints of earthiness and considerable poise and elegance (and only 13% alcohol). A singe-vineyard wine from one of the Hunter's best blocks, this will almost certainly cellar well for a decade or more. The Canberra District is home to Australia's first winemaking Nobel Prize winner and Australian National University Scientist, Brian Schmidt, who was yesterday named joint winner of the 2011 Nobel Physics Prize for his research into supernovae. 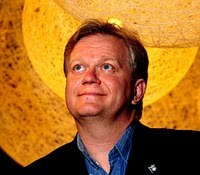 Brian Schmidt is a world renowned astrophysicist who led the team that discovered that the universe is accelerating. But it's not just the stars that are of interest to Brian, he's also a talented winemaker who puts much time and effort into his wines under the Maipenrai label. "While Brian's off exploring the world of astronomy, people are discovering the high quality of his Pinot Noir," said Brad Schafferius, President of the Canberra District Wine Industry Association. Schmidt lives in Sutton just outside of the ACT where he has planted 1.1 hectares of grapes, specialising in Pinot Noir. The small winery sits atop the Yass River Valley, 760 metres above sea level where the vineyard's rocky soil and cool climate make growing Pinot Noir a challenge, but what results is an intensely flavoured wine. 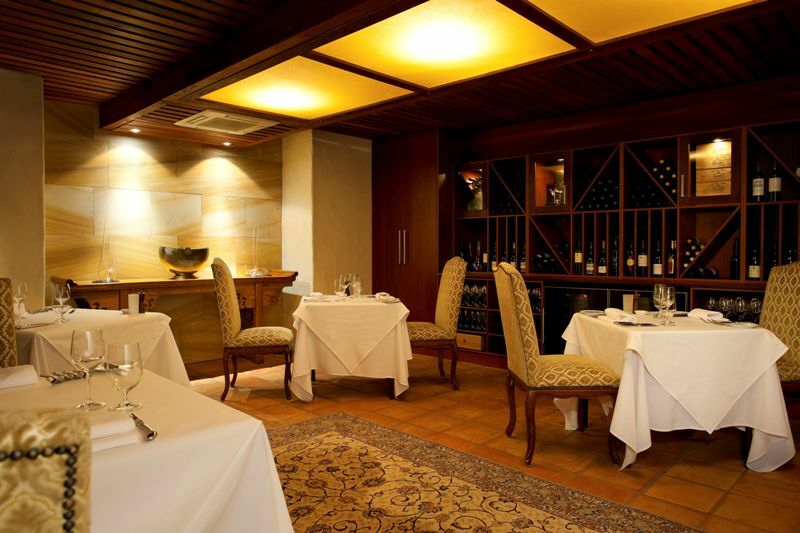 Last year this was recognised with James Halliday awarding Maipenrai a four star status. "What Brian is doing with his wines is to be commended. He is producing a wonderful Pinot Noir in a difficult climate. The Canberra region is known more for Riesling and Shiraz but the Pinot continues to shine with a number of winemakers creating great drops," Brad said. "A lot of small winery winemakers have 'other jobs' to supplement their winery business. The Canberra District has writers, teachers, public servants and now we can count a Nobel Prize winning physicist in that group," he continued. Following Brian's Nobel Prize win yesterday, the Maipenrai Pinot Noir current vintage has sold out, but the next release of 2009 Maipenrai Pinot Noir will be available from December. Wines are available via mail order and select retailers and restaurants. See www.maipenrai.com.au for more information and stockists. "The Canberra District wine makers congratulate Brian on this momentous award and look forward to the next release of Maipenrai Pinot Noir in December," Brad concluded. Brian Schmidt can be followed on Twitter @cosmicpinot where he last night tweeted "I do not have the answer to life, the universe and everything. My advice. Work hard, take risks, have fun, and you never know..."
Five Canberra District wines have just been named in the NSW Top 40 wines at the 2011 Citibank NSW Wine Awards. “The fact that Canberra District wines can take five of the top 40 spots is testament to the quality of cool climate wines being produced in our region,” said Brad Schafferius, the new President of the Canberra District Wine Industry Association. The Canberra District wines named in the top 40 were Capital Wines for the 2011 The Whip Riesling, Eden Road for the 2010 Gundagai Shiraz, Mount Majura Vineyard for the 2010 Tempranillo, Nick O’Leary for the 2010 Shiraz, and Ravensworth for the 2009 Shiraz Viognier. The Citibank NSW Wine Awards were created in 1996 to build awareness of the quality of wines produced in NSW. Entries were judged by five panels of four judges comprising retailers, sommeliers and winemakers. The judging was chaired by Huon Hooke with panel chairs Philip Shaw, Corey Ryan, Nick Bullied, PJ Charteris and Mike De Garis. “Some of the district’s wineries are relatively small in comparison to some of the other wineries that entered the awards, so this is again more recognition of the fact that our winemakers are creating wines that can match it with the best in the state, and across several wine varieties,” Brad concluded. or enjoy now with char-grilled eye fillet. 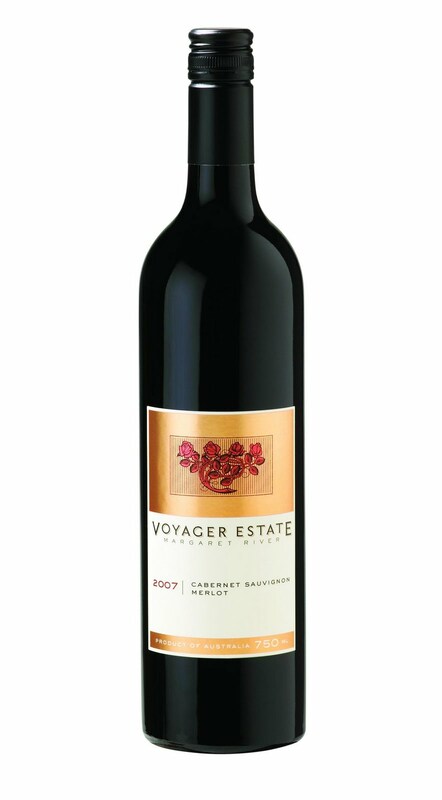 STICKING by their philosophy of producing their popular Cabernet Sauvignon Merlot only when fruit quality warrants it, Margaret River maker Voyager Estate decided not to make and release the blend from the 2006 vintage. "2006 was extremely challenging," says Voyager Manager of Winemaking and Viticulture, Steve James. "The winter was one of the coldest we've ever experienced, with rare, severe frosts. But by contrast we were rewarded in 2007 with a near-perfect growing season and warm to hot summer: it gave us fruit that was rich and ripe with excellent flavour concentration and tannins." Steve chose the 88% Cabernet Sauvignon component from two major vineyards, and with a smaller quantity from a third and the 12% Merlot from yet a fourth, keeping each parcel of fruit separate throughout the winemaking process to achieve what he calls "exceptional balance" in the final blend. This wine has rich dark berry fruits at its heart, and accompanying mocha and dark chocolate notes. At $60 its one well worth investing in for its cellaring potential and development up to 15 years, or to enjoy now while young with char-grilled eye fillet and a medley of corn and roasted peppers. savour with spicy, not- too-hot Thai dishes. ONE FOR LUNCH: JOHN Cassegrain whose family winemaking heritage goes back to France in the 1600s, is a great believer that Australia really can produce wonderful examples of France's classic Alsace region aromatic Gewurztraminer… and he's using fruit from the cool NSW New England to achieve it at his Port Macquarie winery on the State's Mid North Coast. "The variety suffered in 1970/80 when it was grown here in warm climates and blended with Riesling to produce sweetish, fairly ordinary wines," he says. "But delicate fruit we've sourced from Toppers Mountain Vineyard south of Inverell is perfect for great Alsace-style Gewurztraminer." Try his 2010 Edition Noir at $25 that's nicely fragrant and ideal with spicy, not-too-hot Thai dishes.